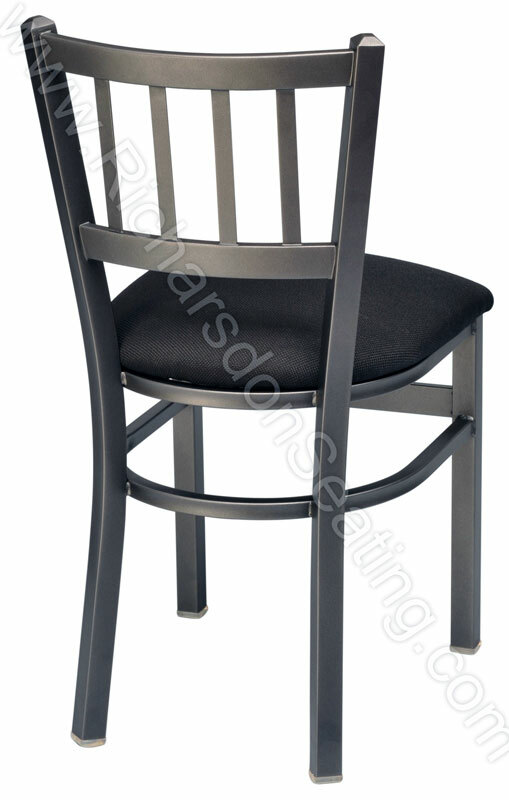 Our cafe chair with jailhouse metal frame back is great for all types of restaurants, pubs and bars. The seat can be upholstered in any of our upholstery vinyls. 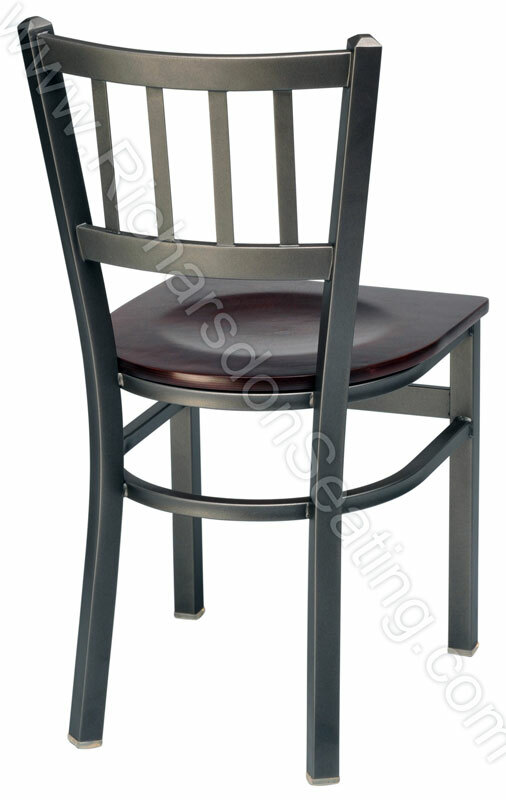 Our standard metal finish is a black wrinkle powder coat. For orders of 25 pieces or more, we can do custom powder coat colors.